The old debate about the number of seminaries in the Netherlands was restarted this week as the rectors of two of them – Fathers Jan Vries of Rolduc (Diocese of Roermond) and Gerard Bruggink (pictured at right) of the Tiltenberg (D. of Haarlem-Amsterdam) – both suggested that the Church in this country would be better served by having a single seminary for the entire Province, instead of the six that exist now. Every Dutch diocese, except for Groningen-Leeuwarden, maintains its own seminary, although there is cooperation to a certain extent: professors and teachers often work at more than one seminary, and the one in the Diocese of Breda, Bovendonk, is specifically geared towards seminarians who begin their studies and formation later in life, next to a job. Groningen-Leeuwarden and Rotterdam send their seminarians, for their entire study or part of it, to Haarlem-Amsterdan, Utrecht or Bovendonk. In addition to this, the Neocatechumenal Way maintains two seminaries in the Netherlands and sends its students for several courses to either Rolduc or the Tiltenberg. All in all, there are 76 fulltime seminarians studying at the several seminaries in the Netherlands, of whom 49 come from abroad. They are generally part of the Neocatechumenal Way. There are also another 11 parttime seminarians, who study next to their day job. Most seminary rectors are in favour of merging the existing seminaries into one or two. Father Patrick Kuipers of the recently re-established Ariëns Institute (seminary building pictured at left), Archdiocese of Utrecht, says, “Personally, I am very much in favour of it. I think that the group of seminarians in the Netherlands is too small to be spread out over five or six institutes.” He thinks a group of 25 would be ideal, because that would form a true community. Father Norbert Schnell, of Bovendonk, relates that German colleagues say that 20 seminarians is the minimum required. There are practical considerations which all boil down to one thing: can the Dutch Church continue to support these five or six separate institutes into the future? The financial side of this is not the least, as the Church is not supported in any way but by the faithful. It is they who, ultimately need to support whatever structure of seminary education the bishops wish to maintain. Odd one out among the rectors is Fr. Filip De Rycke of the St. John’s Centre in Den Bosch. He admits that “sharing” teachers is a burden on people and that a larger group of students is better. But he also looks to Flanders, where all dioceses, apart from Bruges, joined forces. There is no outpouring of vocations there either, he states. Deciding in favour of only one or two seminaries for the Church in the Netherlands would, in my opinion, have positive effects in several areas. It would allow for the formation of true communities which in turn would attract more prospective seminarians, and resources may be bundled: financially and in manpower (thus eliminating the concern that Fr. De Rycke mentions). Expertise is more effective when concentrated and communities form their members when they can actually be communities. I hope that this question is picked up by the bishops, and that they are able to look at the bigger picture of the future of the Church in the Netherlands. We need priests and priests need the best formation and education on offer. Bishop Joannes Gijsen, who passed away at the age of 80 today, has left a mark on the Church in the Netherlands. Virtually all elements of his service led to comments, criticism, questions and, also, admiration and support. From his appointment in 1972 to his sudden retirement in 1993, his troubled time as ordinary of Roermond and his efforts to maintain a form of Catholic education in the Netherlands, his surprise appointment to Reykjavik and the comparisons between life there and back home (which often saw the Dutch situation in a bad light); Bishop Gijsen made his share of ripples in the pond of the Church. Joannes Baptist Matthijs Gijsen was born on 7 October 1937 in Oeffelt, a village in the Diocese of ‘s Hertogenbosch, just on the border with the Diocese of Roermond. He was ordained for that latter diocese in 1957, by Bishop Joseph Lemmens. Although he spent some time in the parish, he was mainly a teacher at the seminaries in Kerkrade and Maastricht, and a student of theology and Church history in Münster and Bonn. In 1972, he was appointed as the 22nd bishop of Roermond, a move that was quite controversial, as the new bishop was known as conservative and his appointment as one imposed from Rome. Reflecting the latter, Bishop Gijsen was consecrated by Pope Paul VI in Rome, with the archbishops of Utrecht and Armagh serving as co-consecrators. Cardinal Alfrink, the archbishop of Utrecht, would have preferred a consecration in Roermond as a first step towards reconciliation, but was evidently overruled. Bishop Gijsen was installed at St. Christopher’s Cathedral in Roermond on 4 March 1972. As bishop, he modernised the diocese in the line of the Second Vatican Council,determined as he was to put the Council’s documents into practice. In that sense, Bishop Gijsen was not so much a man of the “spirit of Vatican II”, but of the true Council. As a former teacher himself, he worked to maintain some form of true Catholic education in his diocese, with mixed results. Above: Bishop Gijsen, third from left, pictured with Bishops Punt (second from right) and Hendriks (far right) and several other priests educated at Rolduc, photographed in May of this year. 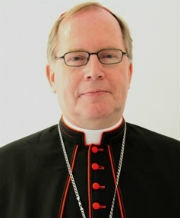 Three years of recovery followed, after which Bishop Gijsen relayed his renewed availability to Rome. At that time, the Diocese of Reykjavik in Iceland had been vacant for more than two years, so Bishop Gijsen was sent to the see where his great uncle Bishop Meulenberg had served in the 1930s. He was initially sent to be Apostolic Administrator, but in 1996 he was appointment as diocesan bishop. In 2007, Bishop Gijsen returned home to the Diocese of Roermond and to his family. 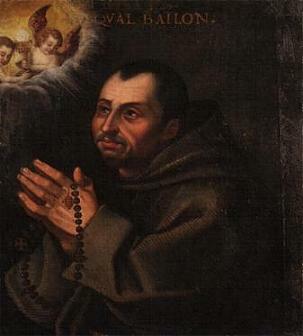 He moved in with one of his sisters in Sittard, and took on the pastoral care of a small convent. He shunned the media since then, devoting himself, no doubt, to his books and whoever came for a visit. Today, many priests and bishops have been influenced in one way or another by Bishop Gijsen. As Bishop Hendriks said above, some 175 priests were educated at the seminary he started, but Bishop Gijsen also ordained and consecrated several bishops. In 1983, he ordained the future bishop Everard de Jong, and in 1985, the future Cardinal Wim Eijk. He also consecrated his own auxiliary bishops, Alphons Castermans in 1982, and Joannes ter Schure in 1984. The latter would become bishop of the neighbouring Diocese of ‘s Hertogenbosch almost exactly two months later. Of course, Bishop Gijsen suffered his share of criticism, and he was not afraid to offer it himself. 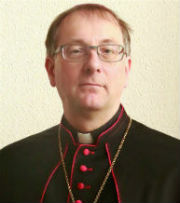 Shortly before his appointment as bishop of Roermond, he accused the Dutch bishops of having “set the faithful adrift” following the disastrous pastoral council of Noordwijkerhout. He went his own way, and this in part was reason for Blessed Pope John Paul II to call a Special Synod on the Netherlands in 1980. ^Bishop Gijsen, right, with Pope John Paul II, during the latter’s visit to the Netherlands in 1985. 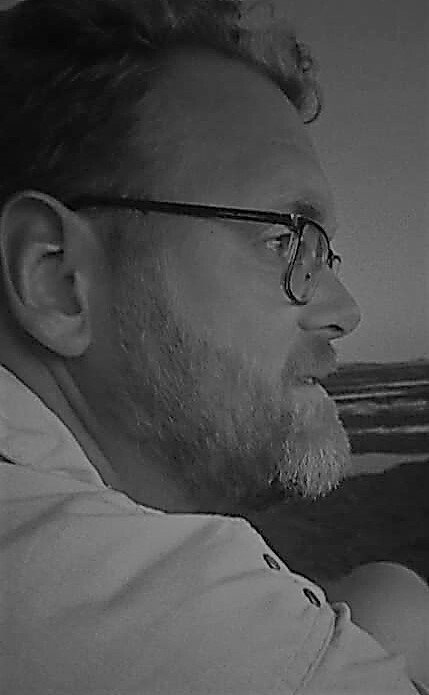 Most serious in his later years were several accusations that surfaced regarding sexual abuse, both in Roermond and in Reykjavik. While no accusations were deemed inadmissible in court, they do point towards serious mismanagement on the part of Bishop Gijsen. Bishop Joannes Gijsen was not perfect. He had his flaws, but he was driven by an honest desire to be of service and to do what was needed. For that, especially during the 1970s and 80s, we should laud him. The funeral is planned for 29 June, at 10:30 in the morning, from St. Christopher’s Cathedral in Roermond. On the eve of the funeral, there will be a vigil Mass for the late bishop at the Carmelite convent chapel in Sittard.